Why do Forest School (FS) practitioners choose their vocations? What role do significant life experiences (SLE) play in their choices? This chapter investigates some of the reasons behind their choices, as described by an ethnography of FS trainees (2010–12) using qualitative interviews and observation. Arising from the study, a new conceptual model of eco-social identity is described, framing the ongoing construction of self as part of nature. Environmental and socio-cultural influences are explored, including both negative and positive experiences, drawing on SLE research. Identity formation based upon life experience had an impact upon the trainees’ choices and yielded some surprising similarities. Early childhood and adult experience in the wider natural world, role purpose, generational change, environmental loss, future shock, and a passion for pedagogy motivated the practitioners. 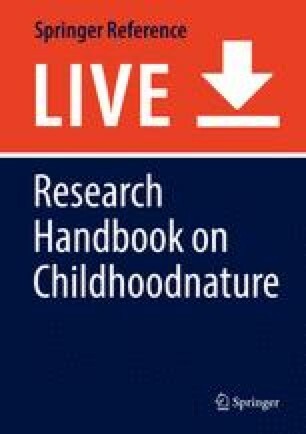 The study contributes new insights into the impact of FS and similar training, the influence of socialization, environmental loss and degradation, future anticipation, ecological identity, and subjectivity in childhoodnature practice.